This event is designed to provide students early in their college career an opportunity to learn more about law school, the admissions process, and legal careers. 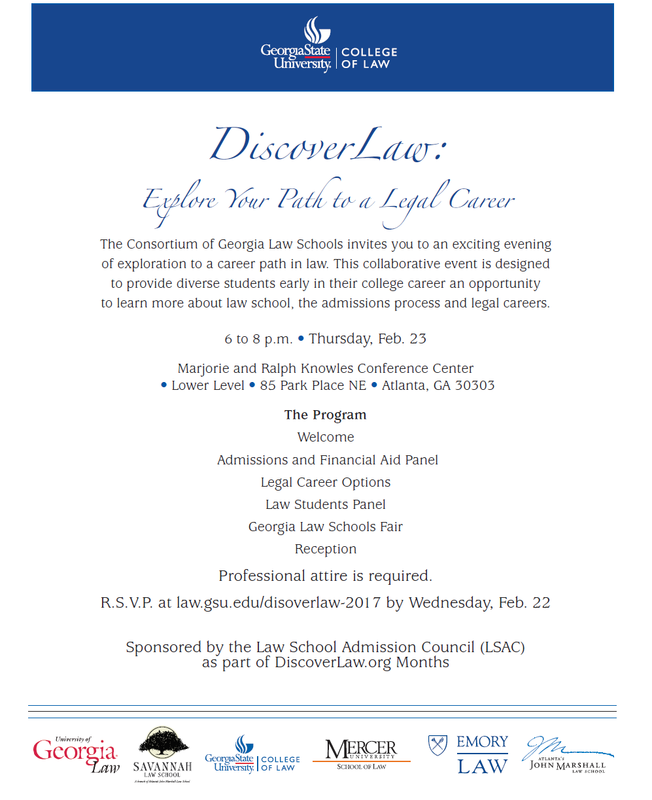 The Consortium of Georgia Law Schools invites you to an evening of exploration to a career path in law. This collaborative event is designed to provide diverse students early in their college career an opportunity to learn more about law school, the admissions process and legal careers.